At 23 years old, Stephen Cooney is entering his handball prime and poised for a Race 4 Eight Elite 8 run. Known as “Coondogg,” Cooney relocated from Ballaghaderreen, Ireland to New York City last summer, in large part to participate on the WPH’s Race 4 Eight tour. An engineer by trade, Cooney works in Manhattan and trains at the New York Athletic Club, emulating a formula that saw Ireland’s Charly Shanks rise to #1 on the Race 4 Eight tour in 2013. 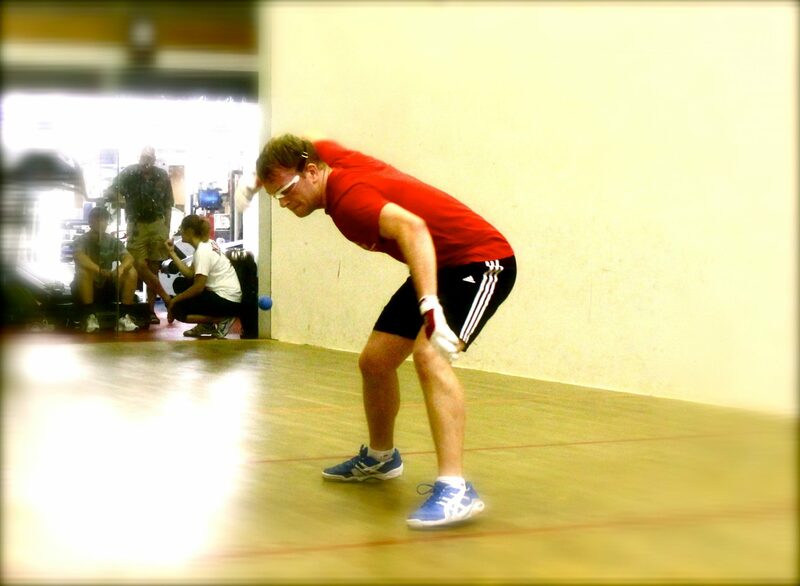 Before moving to New York late in the summer, Cooney recovered from hip surgery in late 2013 to claim five straight Irish 1-Wall big ball singles titles in the summer of 2014, including a dominating 31-10 victory over Irish 1-Wall national champion, Connall McCavitt. Known for his tenacious and steady play, Cooney possesses the ability to track down nearly every shot and to apply relentless pressure with a deadly back wall kill and deadly two-handed re-kills. Entering the Race 4 Eight IV season at the Simple Green U.S. Open/R48 IV Stop #1 with no Race ranking, Cooney defeated top 24 pro Adam Bernhard before losing to WPH #3 Emmett Peixoto in the round of 16. Cooney rebounded in the 9th place Playoffs, defeating WPH R48 #7 David Fink and sparring partner and WPH #13 Jon Iglesias to finish ninth. At the R48 IV’s second stop two weeks after the U.S. Open in Tucson, Cooney rallied from a one-game deficit in the round of 16 against Anthony Selestow to advance to his first R48 quarterfinal. Cooney ran into Paul Brady and was ousted from the main draw, but defeated former R48 Elite Vic Perez in the 5th place Playoffs before losing in overtime to Tucson’s Abraham Montijo to finish sixth. Cooney has risen to #6 on the Race 4 Eight IV Race point list and #17 on the WPH Power Rankings, meaning if the Player’s Championship was held tomorrow, “Coondogg” would be one of the eight invites, a particularly impressive accomplishment for a player that started the season with no ranking.